The cryptocurrency market is experiencing a wild ride with various coins jumping in value in no time, while others dropping like a brick. In this volatile environment, there is plenty of opportunity to make huge gains for savvy investors, but there are also plenty of traps that can wipe your crypto-portfolio. While the safest way to reduce risk is to invest in the high profile coins like Bitcoin, Litecoin or Ethereum, the potential gains are much lower with the well-known coins. For those who are willing to take on more risk in order to obtain larger and quicker profits, the market of choice is Cryptopia, the place where lesser-known coins can be bought and held in the chase of market beating returns. Investing in altcoins needs a lot of research, because not all coins are the same, but choosing the right coins can be very rewarding. What I am looking for in this article is to present some coins with very good potential that are still undervalued by the market. In this list, you will not see coins that are currently in the top 100 list of CoinMarketCap. I’m not going to talk about Cardano, IOTA, TRON, EOS, Monero, Verge, RaiBlocks, Siacoin, ZCash, WAVES or Komodo. While such coins are not as famous as Ethereum, Bitcoin Cash, Ripple or Litecoin, they are already well known and their price reflects that. The 100x gains were already made with those coins, and future returns cannot be as spectacular. Here you will find the real undervalued gems that can still be bought at a low price and expect returns of over 10x or more in the longer term. We’re talking about solid projects with good developers, a strong community support and a solid roadmap, that were not yet pumped. Once the market discovers these coins, they will skyrocket, but until then, there is still time to hoard as many coins as you can while the price is still cheap. With a market cap still below 100 million, this coin is a rare gem hidden in the altcoin exchange Cryptopia. Once this coin gets listed on larger exchanges such as Bittrex, Bitfinex or Poloniex, the price will go up by a very high magnitude. And this is not all that lies ahead for DeepOnion. There are many reasons why this coin will go a lot higher this year. – It has a huge and vocal community that is in love with the coin. They are known for dominating Bitcointalk and social media. 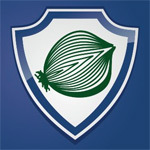 – DeepOnion has its own very active forum at https://deeponion.org/community/ which is something that most top 100 coins lack. This shows that a very professional and competent PR team is working with this project, which is only 6 months old. No other project that young has such a large and growing following. – DeepOnion is one of the most notorious anonymous coins, which are believed to be the dominant coins in 2018 by many industry experts. – The limited supply which is capped at 25 million will put upward pressure on the price after the majority of coins are finally distributed. – The development team is very active, and progress in the project is very well marketed. The team behind this project is doing everything right, and this is why the price is already beginning to raise. This is the type of coin that should be grabbed while it is still cheap, because the current price levels are not going to last long. Conclusion: DeepOnion will end up being a top 100 coin, and this may very well happen this year. I see DeepOnion easily surpassing 1 Billion market cup in the future. This is another anonymous currency that is still undervalued by the market. NAV Coin is a project that started in 2014 and it has grown ever since, but at a very healthy pace. It is one of the best POS (Proof Of Stake) coins that exist, and the development team is known to have a very solid track record in delivering on their roadmap. With a current market cap of around 200 million, this is considered by many as the most undervalued cryptocurrency right now, compared to the technical achievements and the progress it has made. The only reason why NAV Coin is still cheap is because the team behind NAV Coin has put almost all of its efforts in the project development, without putting much emphasis on marketing. The idea behind this approach is that success will come anyway, once people realize that NAV Coin is one of the most advanced coins in the market. – This is the only anonymous coin with a working mobile wallet. – The POS staking rewards are very well thought and position NAV Coin for a healthy growth in the future. Staking coins generates a 5% reward, of which 1% goes to the Community Fund and 4% to the coin owner. – The NAV Coin Community Fund was created after a positive vote in the community, which agreed to give up 20% of their staking rewards in order to fund future development and marketing of the project. 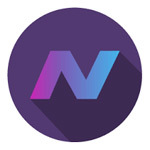 This was a democratic exercise that worked very smooth at the end of 2017, so from now on the NAVCoin community will have more resources for the development and marketing of the project. 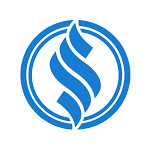 – This is a mature coin that has a proven track record and a proven team. The risks are very low compared to other less-known cryptos. – With a POS reward of 5% and about half of the coins in circulation staking, the supply growth is around 2.5% per year, which is very low compared to the potential growth rate in demand. Conclusion: NAV Coin belongs in the top 100 coins list for sure (I’d say it should be in the top 20). It will not remain undervalued for too long, so it would be wise to get some while it is still affordable. This is a relatively new coin (it is one year old at the time of writing) that is proving to advance very rapidly and shows great potential. The market cap currently stands at 100 million which puts Spectre Coin outside the top 200 coins by market capitalization. SpectreCoin is one of the most promising coins focused on anonymity, as it is the first coin to have native Tor integration. The team and community behind Spectre are obsessed with anonymity and are working hard to make this coin the most untraceable of all. – A low total supply of less than 21 million at the time of writing and a POS reward of 5% will keep supply very scarce at a time when demand will soar. This is guaranteed to have a positive effect on the price. – Market cap is still very low compared to other anon coins such as Monero, ZCash or Komodo. – You can get SpectreCoin only on Cryptopia now. When it will get listed on other exchanges, the price will explode. Conclusion: SpectreCoin has good potential for growth and it is still cheap compared to its peers. The coin belongs much higher in the top and will surpass many other coins that don’t have such strong development teams behind them. Hush is one of the most ambitious and undervalued coins using the Zerocash protocol. It focuses on privacy and it has a Private Messenger build with zkSNARKS technology, which can be a very thought after feature in the world of ever increasing surveillance. With a market cap of only 30 million this coin has huge room to grow. 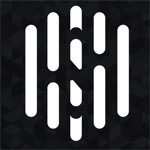 Hush has a maximum supply of 21 million, just like Bitcoin, so it is a scarce coin that can still be bought cheaply. – While very similar to ZCash (actually many experts consider HUSH to be an improved version of ZCash that has fixed some of the former’s flaws) the price of Hush is only a fraction compared to the other coin. At the time of writing, ZCash is 50 times more expensive than Hush, but brings in no added benefit. The difference will surely be reduced in the future. – Hush has a very good development team and is working around the clock to add new features and improve the coin. For a coin with such a low market cap, the team is very strong. – Of all the major exchanges, Hush can only be bought on Cryptopia, so future listings will push the price of Hush up. One of the best strategy in altcoins is to buy coins with low market cap that are not yet listed on the big exchanges, but have a strong team that works hard and keeps developing the project. Hush is the perfect example of such coin. Conclusion: Hush is a great altcoin to have in your portfolio for long term growth. I am confident that it will outperform the altcoin market and early investors will be greatly rewarded. 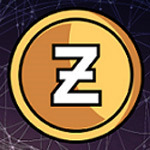 Zero is another cheap anonymous coin that can be found only on Cryptopia. The current market cap is only 25 million (Please be aware that at the time of writing this article, CoinMarketCap wrongly lists Zero’s circulating supply at 446,000 while the real supply is 2,340,000 which results in a wrong market cap calculation of only 5 million on their website). As the name suggests, Zero is about leaving zero traces. 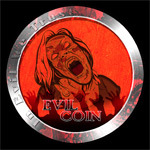 The history of this coin is very interesting, as the initial developer abandoned the project, but the coin refused to die and was resurrected by the community at the end of 2017. Zero is a coin driven by its passionate community and it is experiencing a fast growth ever since the community has taken over the project. – This is a coin with a very beautiful name that easily attracts attention. A good name increases the potential for adoption and it is a very solid long term asset when it comes to branding the coin. – A strong community that resurrected the project will never let it die. Zero has proven very resilient during hard times, so it is safe to believe that it will hold even during the most turbulent times. – As an anonymous oriented cryptocurrency, the prospects for 2018 are very solid. With a very low market cap, Zero has great chances to ride the wave of anon coins demand to new all-time highs. – Zero is currently available only on Cryptopia, so the addition to new exchanges will act as a catalyst to the price. Conclusion: If you like anonymous coins and want to diversify your portfolio with solid low-market-cap coins, Zero is an excellent option. The potential for growth far exceeds the risks. The above list is my recommendation of undervalued altcoins with huge potential that are excellent for medium-risk crypto-investors and speculators. This coin has many unique features that are proven and are working great. Leasing your coins to get rewards at no risk and effort is something very attractive. The decentralized exchange works very well and adds an income stream to those powering the network. This is a very powerful utility coin with a fixed total supply of 100 million that is already in circulation. The price is stable and slowly on the rise, so this is a very good addition to one’s crypto portfolio. While not as exotic as other coins, since it is already very well known, Litecoin benefits from a strong brand and it is well liked by Bitcoin fanatics. It is very useful for smaller transactions that are too expensive to be done via Bitcoin and it here to stay. Among the top 10 coins, Litecoin and Bitcoin are the safest bets in the long term. The king of cryptocurrencies is a must have in everyone’s portfolio. It is by far the safest coin to store for the long-term, and if it manages to solve its scaling issues with the implementation of the Lightning Network it will skyrocket again. No matter how many altcoins you have, at least 30% of your crypto portfolio must be in Bitcoin. – It successfully moved from Proof of Work to Proof of Stake when it reached 21 million coins, and now it is powered by a 2% POS staking reward. This means very low supply growth in the future, which can result in explosive price growth in case there is a spike in demand. – A very low market cap of only one million, so it can be easily pumped 10x while still remaining under the radar. – It has a very cool name, which is a rare thing among cheap altcoins. – As the community says, “Evil never dies”. – The coin is listed on Cryptopia and YoBit, with Cryptopia being the most liquid market. Hard to buy Bitcoin and Cryptocurrencies with fiat in your region? In some countries it is pretty difficult to buy Bitcoin with fiat money, and accessing the altcoin markets is very hard without Bitcoin. Also, some people don’t want to hold the crypto-assets themselves because they lack technological prowess and would prefer to invest using regulated brokers and fiat money. 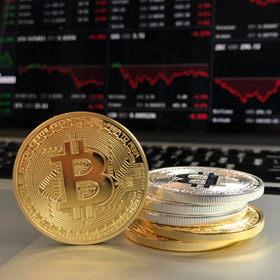 Fortunately, there are some very good and accessible options now for those who want to trade Cryptocurrencies with a highly reliable and regulated broker and be able to deposit funds easily with debit or credit cards. They can buy and sell contracts for difference (CFD) on the underlying price of Bitcoin and other crypto tokens and profit from both upward and downward swings in the coin prices. This is a CFD broker that offers trading on many assets such as forex pairs, stocks, indices and precious metals, but also Cryptocurrencies. The Cryptocurrencies that can be traded at 24 Option are: Bitcoin (BTC), Litecoin (LTC), Dash (DSH), Ethereum (ETH), Ripple (XRP), Bitcoin Cash (BCH) and Ethereum Classic (ETC). All those cryptos can be traded against the major fiat currencies such as USD, EUR and GBP. Etoro is the largest social trading network in the world. Here you can trade all conventional assets (forex pairs, major stocks, indices, commodities, precious metals) as well as the major Cryptocurrencies. The current cryptos that can be trade at Etoro are the same ones that are available at 24Option. The major advantage of using contracts for difference when trading Cryptocurrencies is that you can trade in both directions, without holding the assets. You can profit when the markets are raising, but also when they are falling. You can also add leverage to your trades to maximize the profits, but also increasing the risks. Since Cryptocurrencies are very volatile in nature, my advice is to not use much leverage even if you trade using CFDs and the brokers allow it. There is enough volatility in the crypto market without leverage. Disclaimer: The author of the article holds a long position in all the mentioned Cryptocurrencies (Bitcoin, Litecoin, WAVES, DeepOnion, NAV Coin, SpectreCoin, Hush, Zero and Evil), which means it truly believes in their potential. The article does not represent investment advice, and it only reflect the personal opinion of the author. Everyone must do his own due diligence when investing. Risk Disclaimer: Investing in Cryptocurrencies is very risky and can result in the loss of your entire capital. Trading with Contracts for Difference is also very risky and shouldn’t be done by people who don’t understand the risks. The only person liable for any investment loss is the investor himself/herself. As a general rule, do not invest money you cannot afford to lose. The author of this article and the website Fairreporters.net are not liable for any bad investing decision.